The plunder of Africa during European colonialism has been a long-neglected historical wrong that is finally being addressed by the West. Only recently has a dialogue been initiated to understand the extent of the cultural heritage that has disappeared from our continent; it is vital that our lost cultural treasures now return home. In Angola, I can help to play a part in finding and returning our lost works of art—works that are part of our common culture and knowledge and which enhance our country’s heritage. This is why, in 2015, my foundation, the Fundação Sindika Dokolo, launched a pioneering project to recover classical works of African art. The aim was to advance a local and global discussion of the epic story of lost African civilisations. 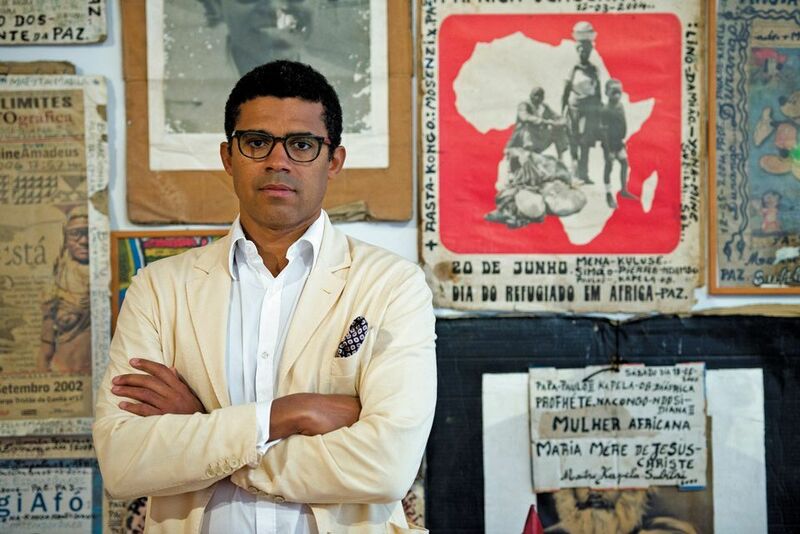 Aided by the diligent research of the Brussels-based gallerist Didier Claes and the Parisian dealer Tao Kerefoff, both specialists in classical African art, we have so far repatriated ten works, looted during the civil war of 1975 to 2002, to the Dundo Museum in Angola. We were lucky that many of the works we recovered had a clear provenance, as they had been documented in the books Art Décoratif Tshokwe: Museu do Dundo (1961) and La Sculpture Tshokwe (1982) by the Belgian art historian Marie Louise Bastin (1918-2000). To further the repatriation of looted works as the only acceptable course of action, we Africans have to stand up for our values. In 2016, I declined a loan request from the Musée du Quai Branly-Jacques Chirac in Paris, which wanted to borrow classical pieces from my collection to include in an exhibition. I turned down the museum because of its refusal to enter into any discussions with Patrice Talon, the president of Benin, about the repatriation of works that were looted from his country and are now in the museum’s collection. I hope that similar struggles for the repatriation of our plundered art will be initiated across the continent. My mission was largely inspired by Edgar Bronfman and Ronald Lauder, whose work with the World Jewish Congress should encourage business and entrepreneurial leaders across Africa to adopt a similar approach. There is even a growing discussion around the question of whether Africa should aim to establish its own Washington Principles, a list of guidelines for resolving issues relating to Nazi-confiscated art. The return of our looted works is not just an African problem but a global one. Germany and France have now, finally, started to look at decolonising their ethnographic museums, with President Emmanuel Macron of France declaring that “African heritage can’t just be in European private collections and museums”. We need other countries and institutions to embark on a similar process of historical self-reflection. After all, institutions in Austria have returned around 50,000 works of art and objects from public collections to the heirs of collectors whose works were looted by the Nazis; righting the plunder of Africa’s heritage should be no less urgent. This work is often difficult. As auction houses have adopted more stringent rules regarding the provenance of classical African works, this art is now sold mainly through private dealers. As objects move from one private collection to the next, it is often challenging, if not impossible, to know if a work has been looted at some point. We also have to contend with statute-of-limitation arguments, which are often used as a way to deter repatriation. But these have not stopped various countries from claiming their lost riches and they should not deter us, either. Some African countries have been successful. Ethiopia persuaded Italy to return its Lion of Judah monument and the Obelisk of Axum, which were looted by Italian soldiers after the Italian conquest of the country in 1935. I was also impressed with the decision taken by the Museum of Fine Arts, Boston, to return eight important artefacts, including two terracotta heads produced in the Kingdom of Benin, to Nigeria. These are important gestures, but there is still much more to do.